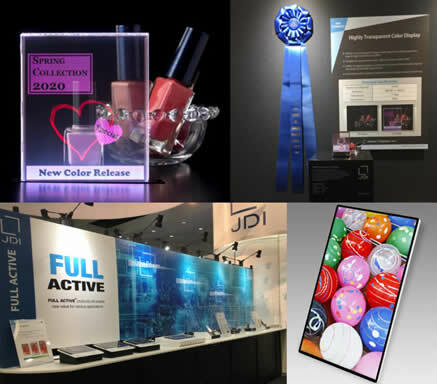 Japan Display Inc. (JDI) announced today that The Society of Information Display's (SID) prestigious "BEST IN SHOW" award was bestowed upon JDI for two new displays: its High-Transmittance Color Transparent Display, and its FULL ACTIVETM. 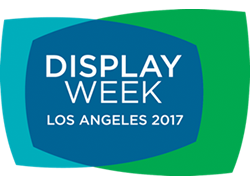 The award was presented to JDI during "SID DISPLAY WEEK 2017", the world's largest international display conference, held in Los Angeles, CA, USA, May 21-26, 2017. 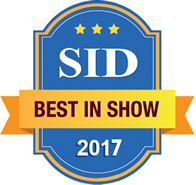 The "BEST IN SHOW" awards are intended to honor the most significant advances in display technology and systems, products, prototypes, and manufacturing processes presented by the exhibitors during SID's Display Week. JDI's High-Transmittance Color Transparent Display was applauded for its world's highest transmittance level of 80%, without using any color filter or polarizers. The FULL ACTIVETM were awarded for their product potential and breakthroughs in narrow-bezel, thin, and flexible LCD technologies. August 09, 2016: Japan Display Inc. Develops "FULL ACTIVETM"